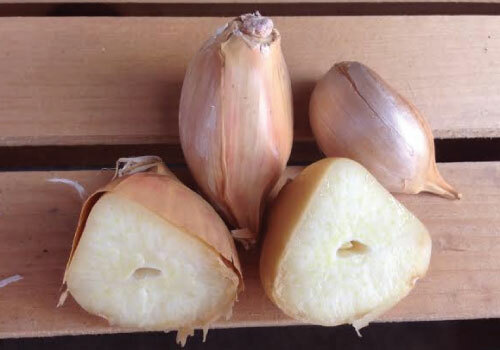 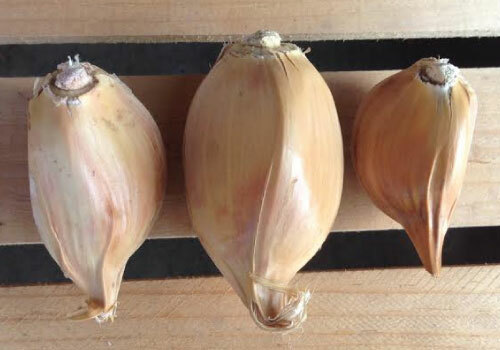 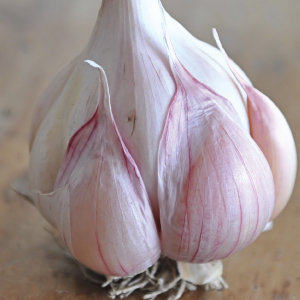 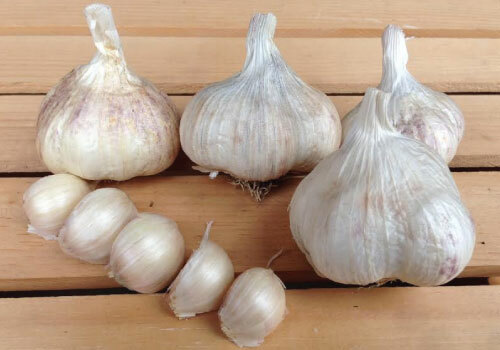 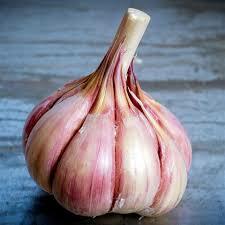 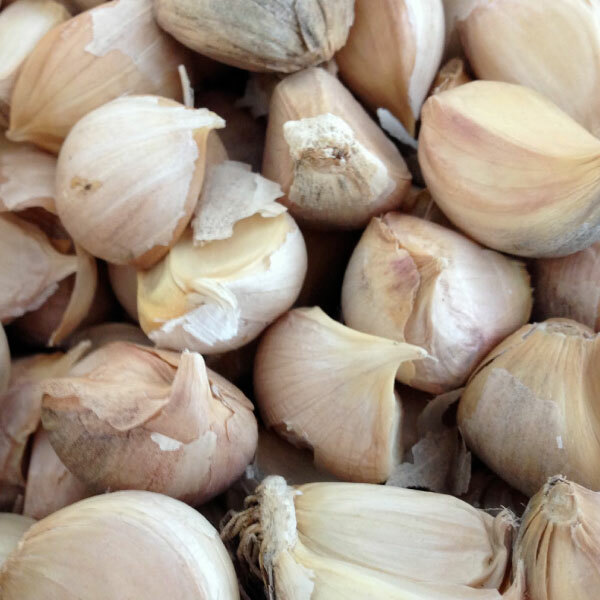 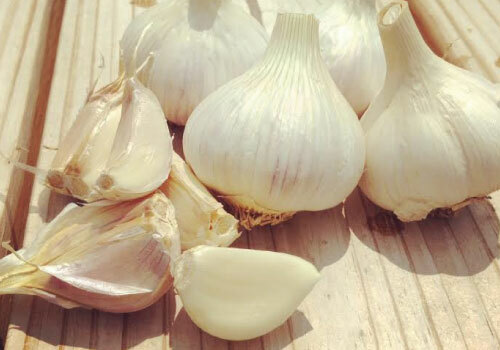 We carry a large selection of hardneck and softneck garlic bulbs for home gardeners. 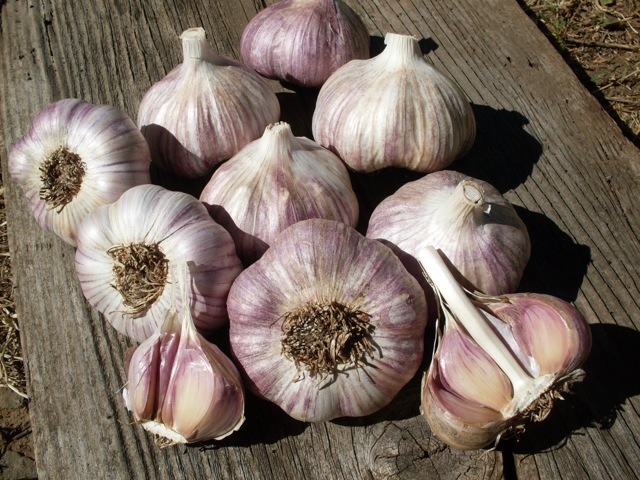 From Artichoke, Purple Stripe, Porcelain, Rocambole and Silverskin garlic seed varieties for planting. 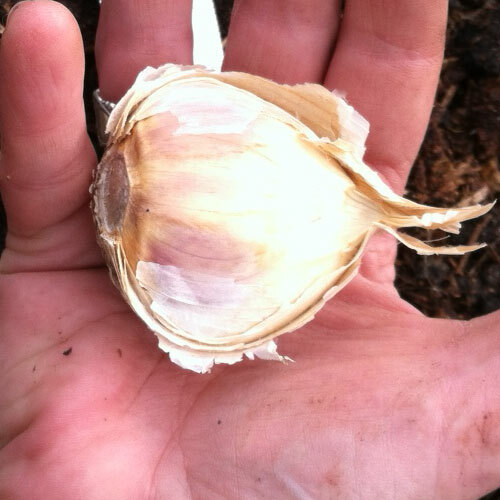 Planting garlic seed in the fall will give your a bountiful harvest the following summer. 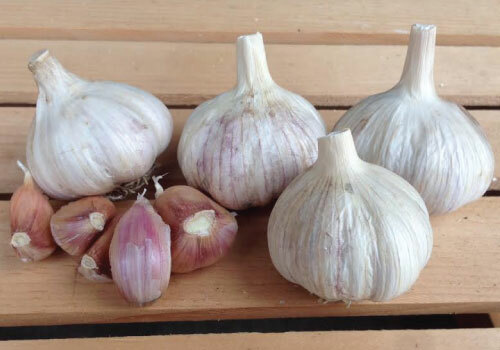 Freshly grown garlic cloves has so much more flavor than plain white garlic bought at the supermarket. 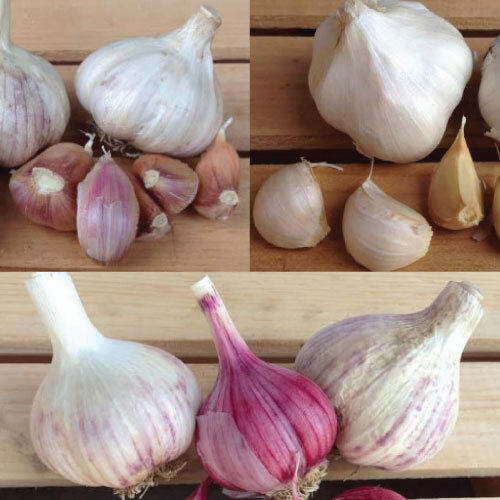 Use our garlic comparison chart to decide which garlic is best for you. 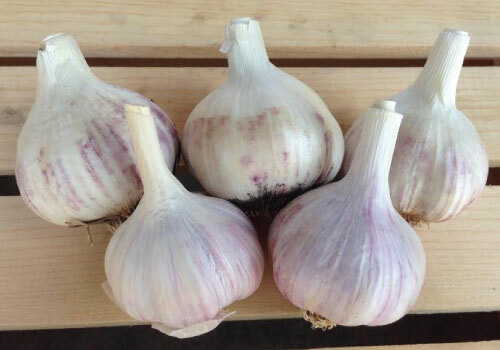 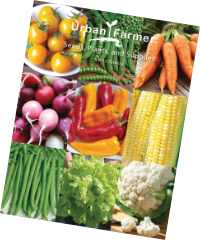 California Early garlic is an excellent planting garlic variety that produces bulbs great for culinary use and is an early season garlic harvest! 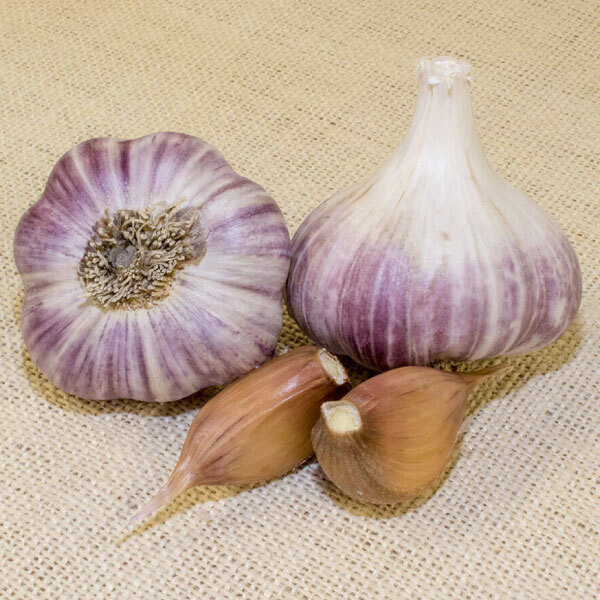 The Collection Mix is a delicious mix of our three most popular garlics, California Early Garlic, Italian Red Garlic and Spanish Roja Garlic. 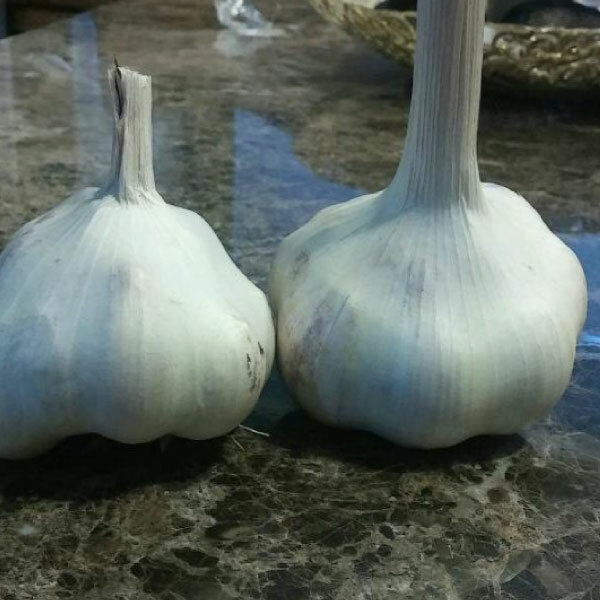 Just like its name, Elephant garlic is the largest "garlic" with bulbs that can easily weigh a pound of more and has a great mild garlic-like flavor! 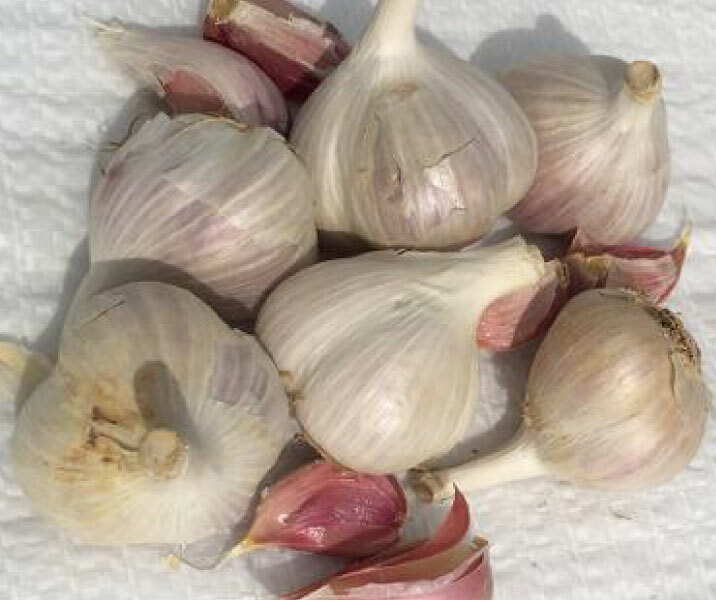 Georgian Crystal garlic has a rich flavor and mild heat that when roasted has an amazing buttery flavor that melts in your mouth! 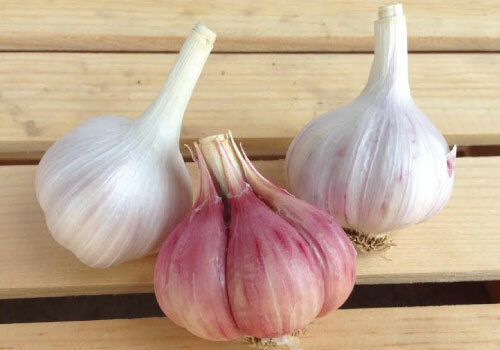 The Georgian Fire garlic variety has the classic garlic porcelain sheen and flavor and is the beauty queen of the garlic world. 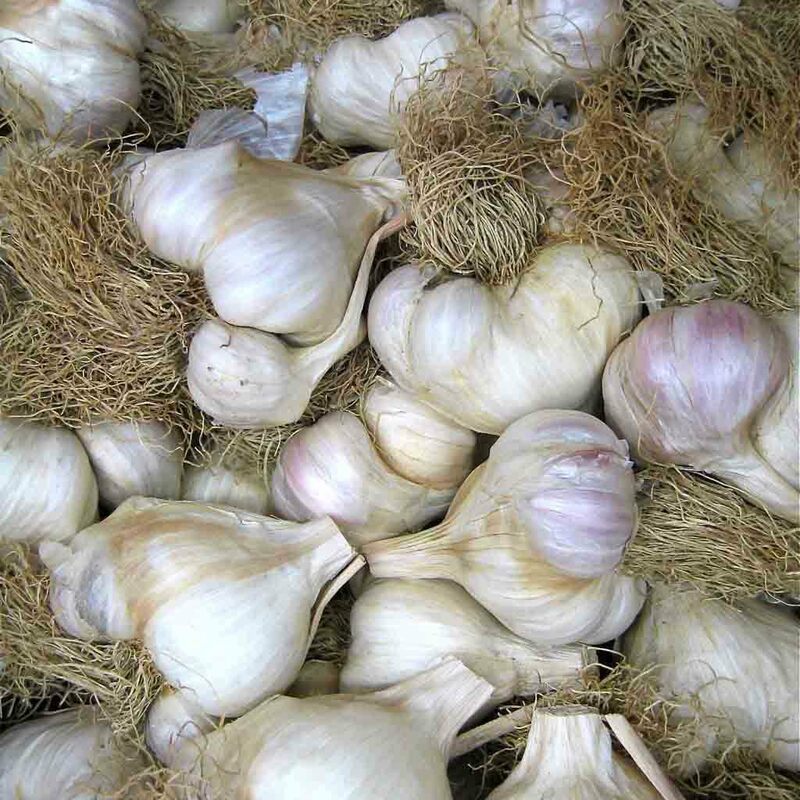 The German Extra Hardy garlic is a prolific producer of long rooted garlic that can store in the ground throughout winter. 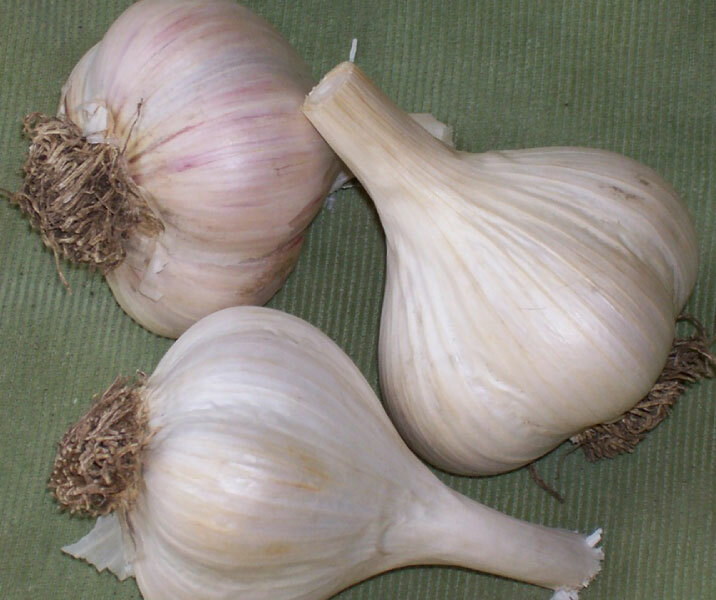 German Giant garlic has become popular for its strong, spicy flavor and many believe German Giant to be one of the best tasting garlics available! 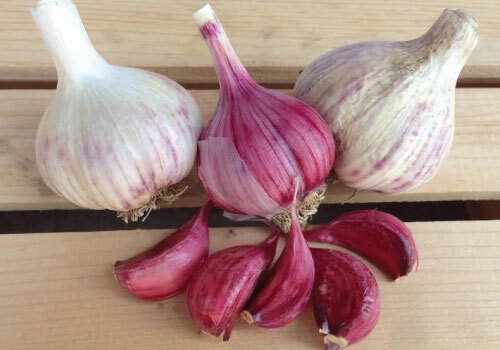 The German Red garlic variety is a hardneck that offers a strong, spicy and robust flavor with large, easy to peel cloves. 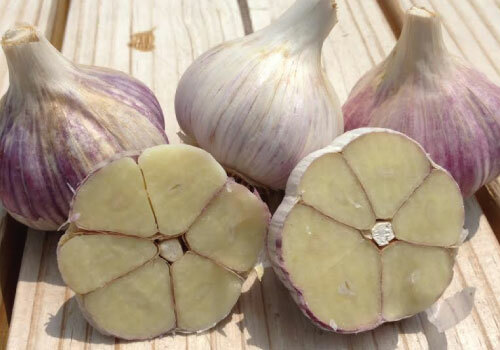 The white skin on the German White garlic has delicate purple stripes and is one of the best garlics in taste without all the spiciness. 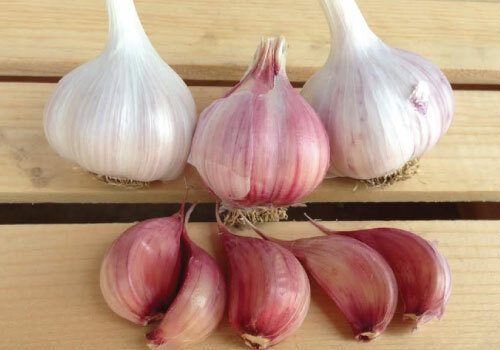 The Inchelium Red garlic has won many awards with its delicious mild flavor of a soft-neck variety that can be used in many different dishes. 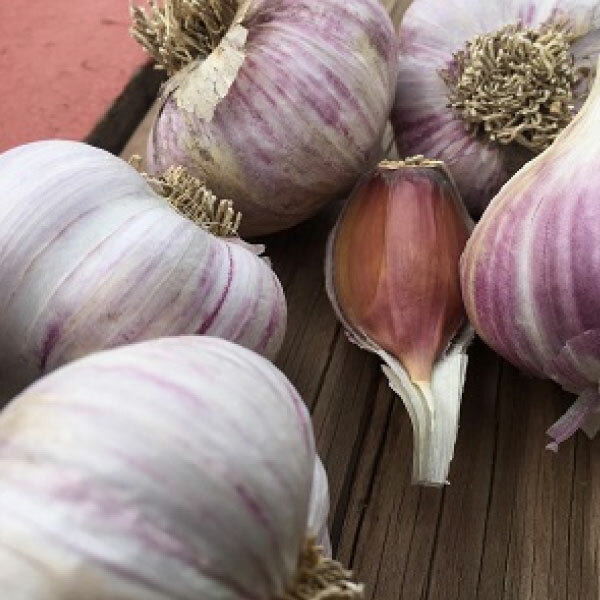 Early Italian Red garlic is a hardneck that is a very heat-tolerant porcelain-type that can be planted in spring in northern gardens for a fall harvest! 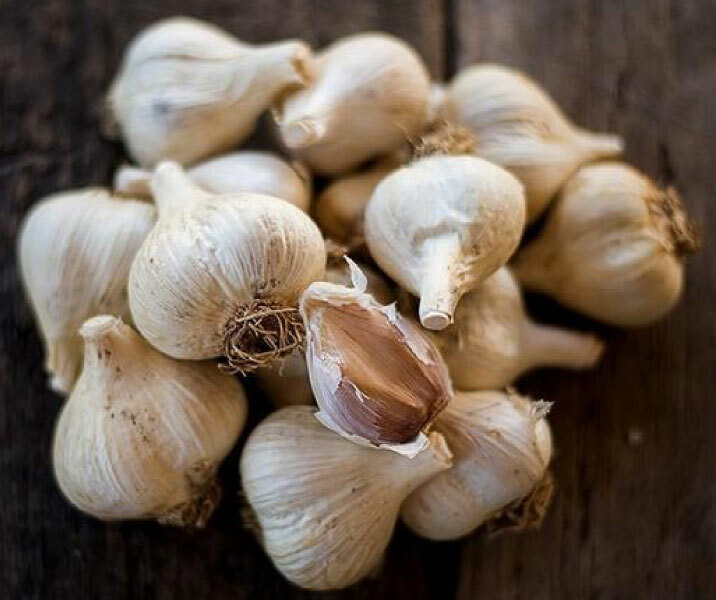 Leningrad garlic is the hottest flavored garlic we offer and has rich aromatics with a great balance of flavors, especially when cooked! 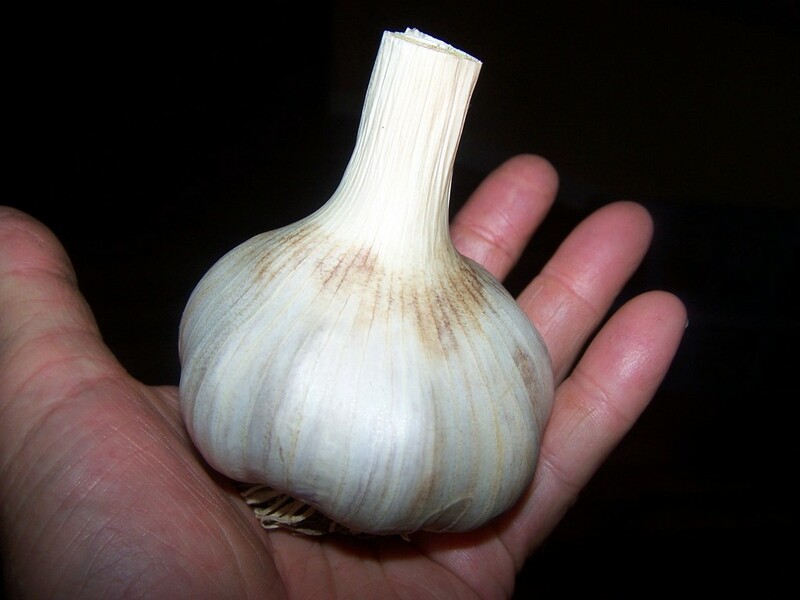 The Majestic garlic is a porcelain garlic so it does best in colder climates and develops large bulbs with a mild flavor. 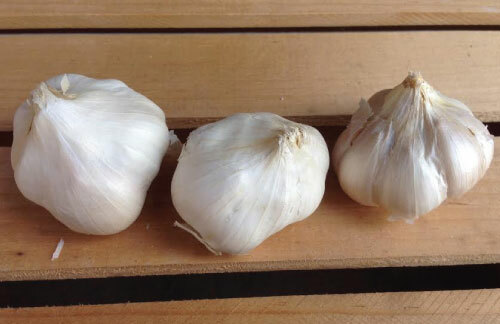 Mattchi garlic is considered by garlic experts to be an improved version of the California Early and is a popular gourmet all purpose garlic. 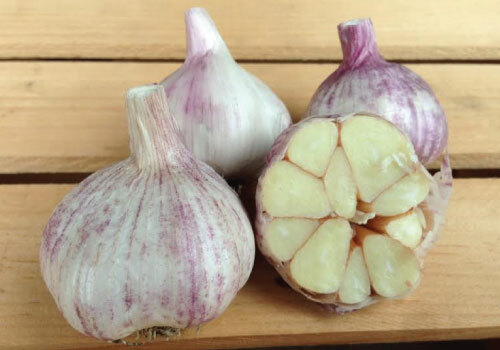 The Mild French garlic is a long lasting, bold flavored garlic that is quick growing and was first bred by Porter & Sons seedhouse. 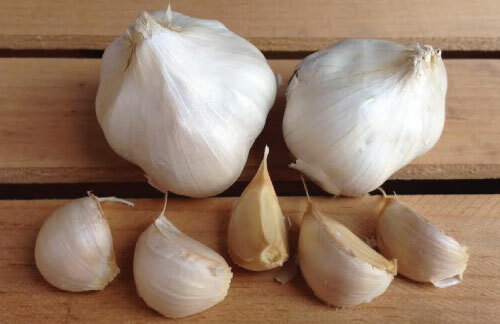 The Montana Giant garlic has a full and robust taste that sets it apart from other garlics as it can pack a punch of high heat that quickly melts away. 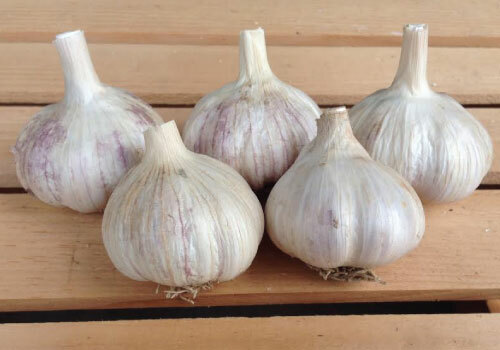 Music garlic is a "Garlic Lovers" garlic as this variety is prized for it's mild flavor that has no bitterness and ease of peeling. 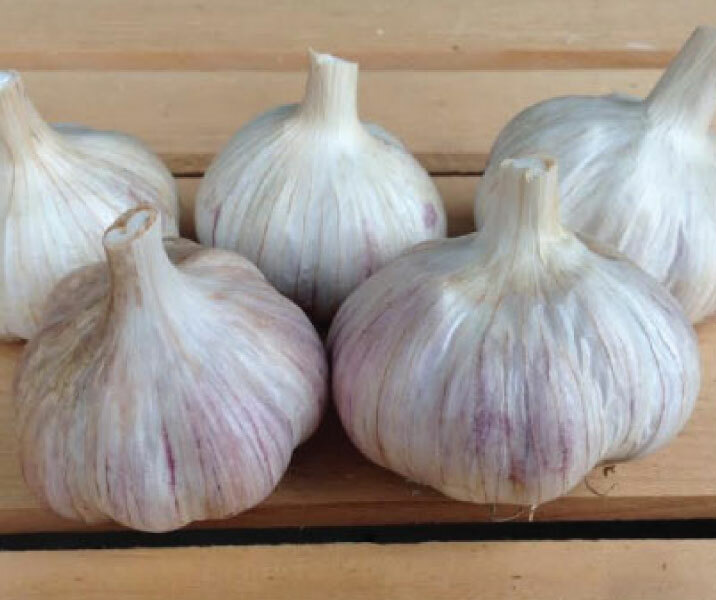 The long storing Nootka Rose garlic is certified dark colored garlic that has a strong and aggressive flavor great for cooking! 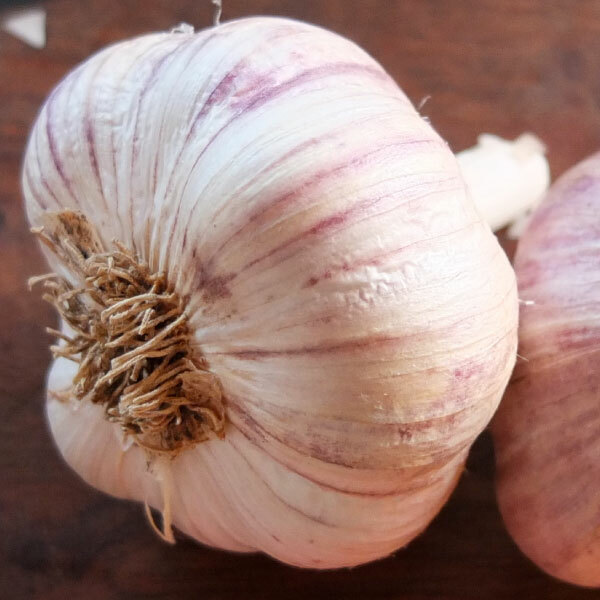 The Persian Star garlic is a hardneck purple stripe type garlic that has a very pleasant flavor with a mild spicy zing that is a great addition to any dish! 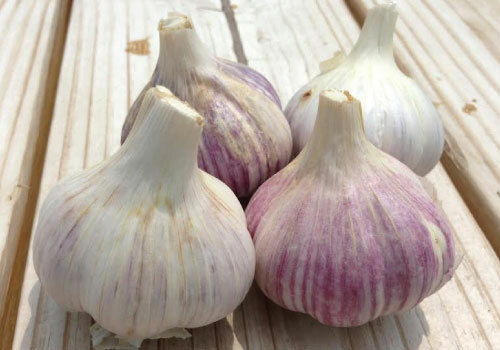 Purple Glazer produces fat white cloves with deep purple streaks that have a strong flavor with no heat and a very minimal aftertaste. 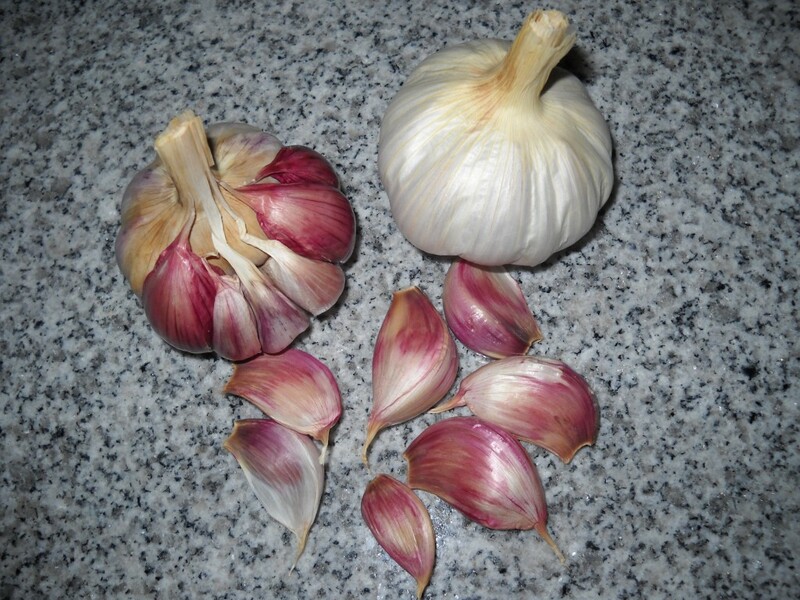 Romanian Red garlic produces a delicious flavor that is pungent and long-lasting and once harvest, they will store for months. 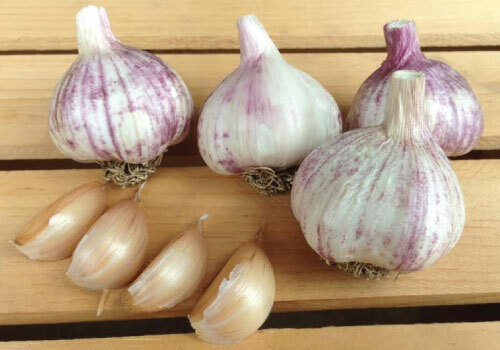 Russian Red garlic is the most flavorful heirloom garlics we offer and has big bulbs that have a slightly purple skin that wraps the bulbs and cloves. 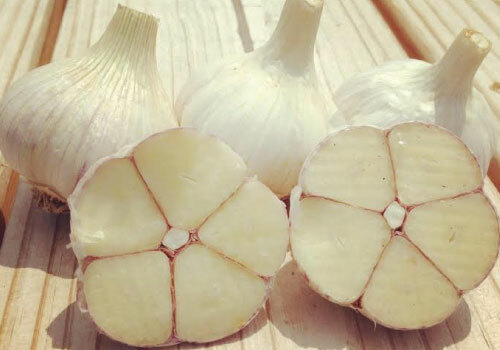 Siberian garlic has a very high allicin content, possibly the highest of any garlic that supports cholesterol levels, the immune system, and circulation! 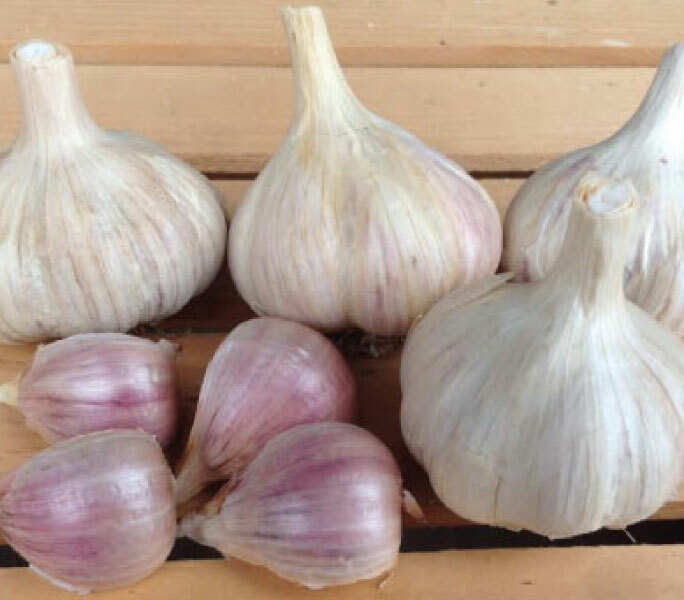 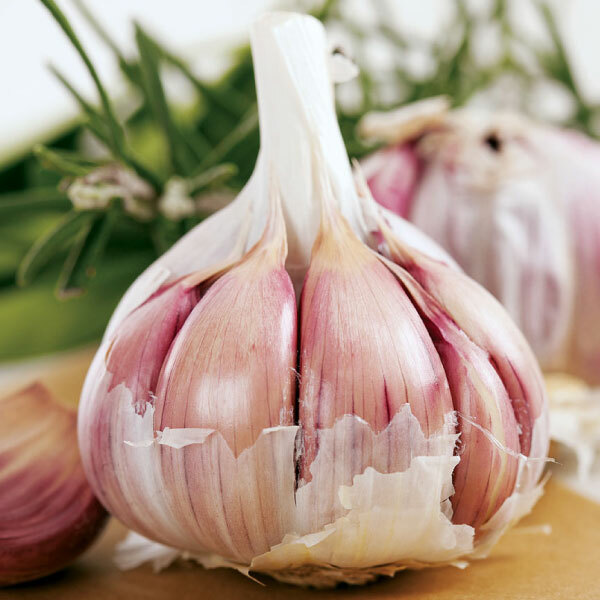 Spanish Roja garlic is a gourmet best-selling garlic for home gardens with an excellent classic rich flavor that varies in its outer wrapper color.